Finally, we can now install real mods for MCPE 0.17.0. 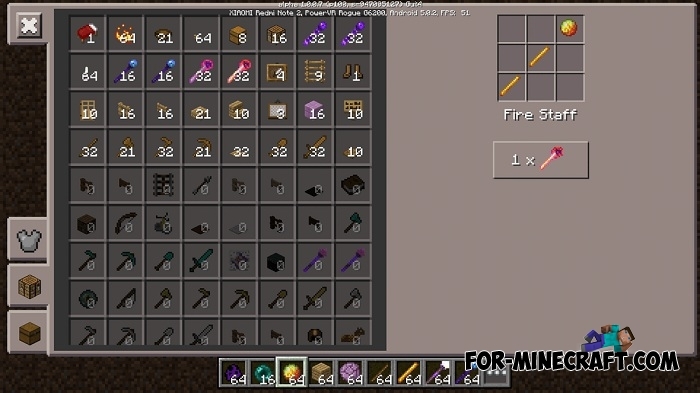 One of the first may be Wands PE mod which adds to the game 6 different staffs. Course, these staffs have unique features which are described below. 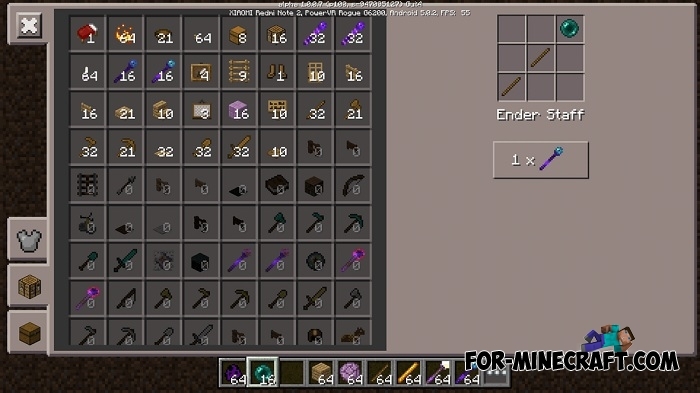 Each staff can be crafted and used in fights with any mobs, even with the Ender Dragon. 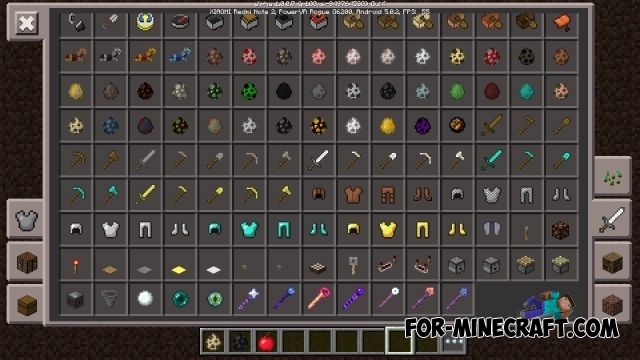 Below you can see the crafting recipes of each staff. Shoot dragon balls and can destroy the enemy a few shots. After the shot is formed a small area where all living creatures will take damage. 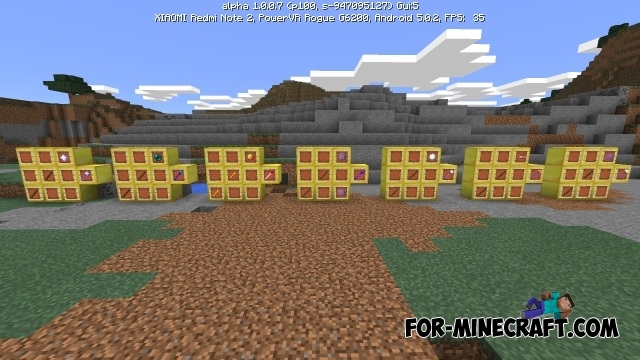 Shoot ender pearls and teleport you. Shoot TNT. It's better to shoot as far as possible, the explosion radius can get you. Shoot Blaze balls and ignites your target for a while, at the same time causing extra damage. Shoot Shulker bullets. If you hit someone, the target will get levitation effect and little damage. Shoot snowballs. It can be used instead of the usual snowball. Shoot wither heads and freezes the enemy for a few seconds. How to install the Wands PE mod? Download the file below and open BlockLauncher (link to the latest version). Go to BL Settings -> Select ModPE script and click Add. Find the the downloaded file and click it to install.